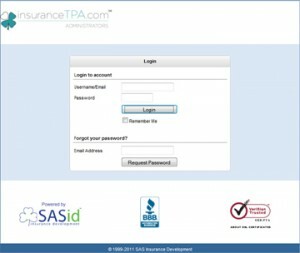 The first step in accessing your customer account is to login here.Â You will be asked to enter your username and password.Â Your username is the email address you used with enrolling into your SASid insurance plan.Â Your initial password was randomly generated and sent to you just prior to your enrollment.Â If you cannot remember your password simply enter your email address in the box below “Forgot your password?” and click “Request Password”.Â A new password will be sent to you via email. 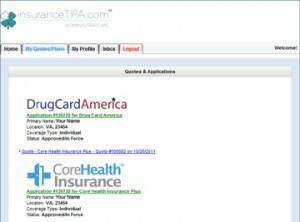 Once logged into your account, you’ll find a row of tabs towards the top of your login screen which includes:Â Â Home | My Quotes/Plans | My Profile | Inbox | Logout.Â Here is a brief explanation of what can be found in each section. 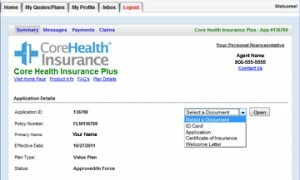 Under the “My Quotes/Plans” tab you’ll find any SASid insurance plans you’ve enrolled in.Â Click on the GREEN link below the plans documents you’d like to view to open the plan details page. 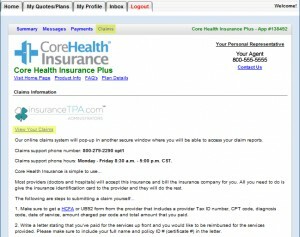 You’ll then be taken to a page showing more details about your plan including the Plan Number, Effective Date, and Plan Type.Â To the right of those details is a drop-down box.Â Clicking on the drop-down button will open the plan documents available for your viewing and printing.Â To view, select the document and click the “Open” button to the right. 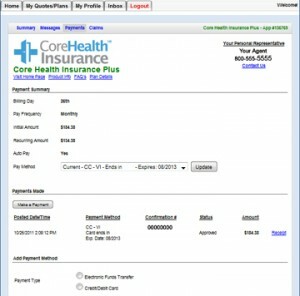 Also under the plan summary page you have the ability to make premium payments and change your payment method.Â Click the “Payments” tab under the plan logo to view payment service options.Â From here you can make a payment or change the method from which your future payments are made. 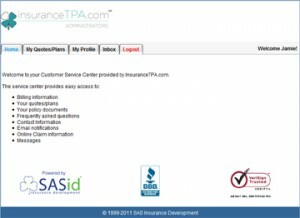 To view claims, click the “Claims” tabÂ then click “View Your Claims” (both highlighted in yellow in the image below).Â This will allow you to check the status of any claims received by InsuranceTPA.com and to view their corresponding EOBs.